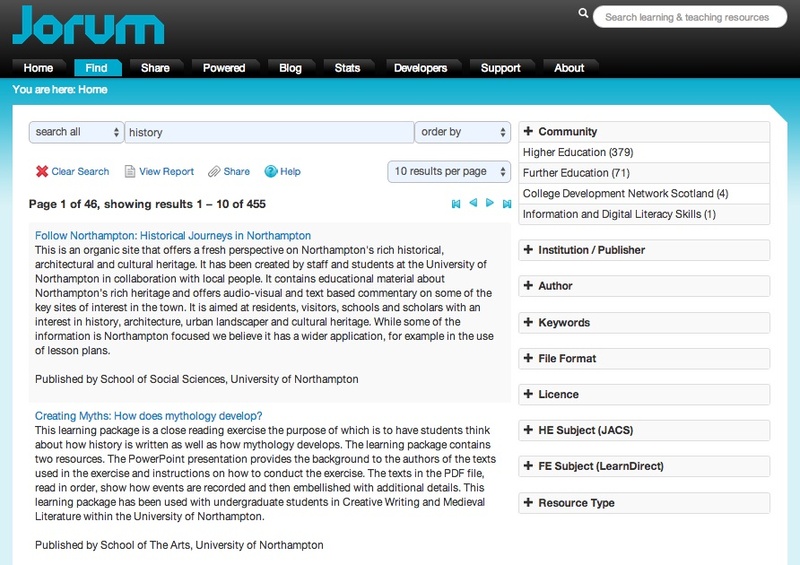 ISKME first created OER Commons in 2007 as a digital library and content hub to support OER discoverability, use, and reuse. 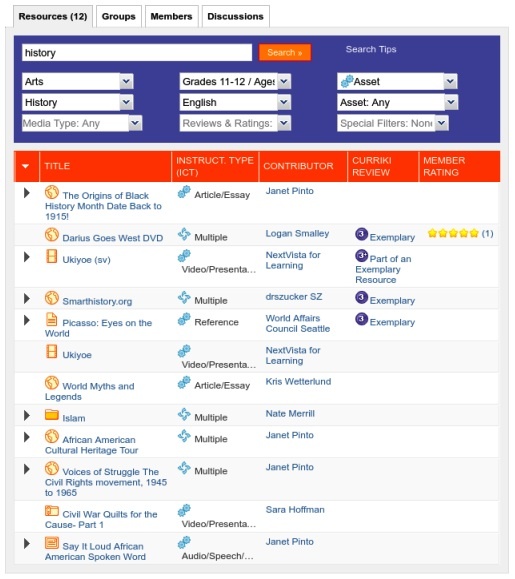 Together with OER content providers and educators, OER Commons aggregates content collections, enriches resource metadata, and curates and organizes rich metadata to support the use and reuse of collections. Resources cover all subject areas and levels of education. 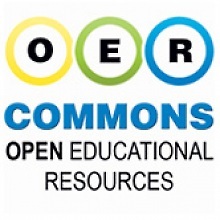 OER Commons resources span a wide range of formats including html, ebooks, pdf, video, audio, games, courses, lesson plans, lectures notes, and search tools to enable users to find resources for different contexts of use. The OER Commons platform today features Open Author, an inclusively designed authoring and remixing environment to support the creation and adaptation of media-rich OER, hosted locally on the platform. The authoring environment produces OER that are accessible using a broad range of assistive technology devices such as screen readers. 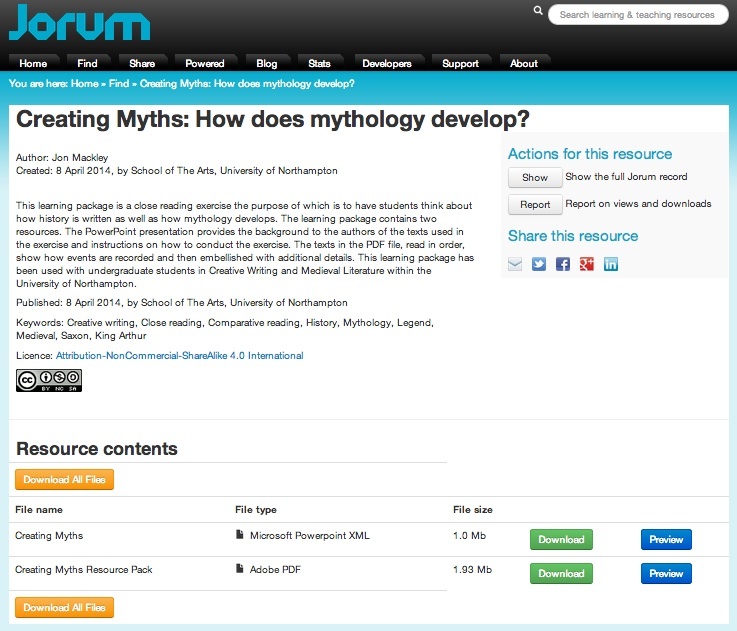 Open Author resources can be downloaded as PDF or SCORM, or as a “teaching bundle”, a zip file containing PDF and media components. The OER Commons infrastructure also supports the evaluation and improvement of quality OER with embedded Common Core State Standards (CCSS) alignment tool and Achieve OER Rubric tool and EQuIP Rubric evaluation tool, developed by several states partnered with Achieve to support collaborative review of CCSS-aligned content, as well as the ability to align content to the Next Generation Science Standards. The system uses the Django Python framework, which powers OER Commons Platform and Learning Registry application. OER Commons authored content uses Creative Commons licenses, while aggregated resource collections from around the web contain a wider array of applied licenses. 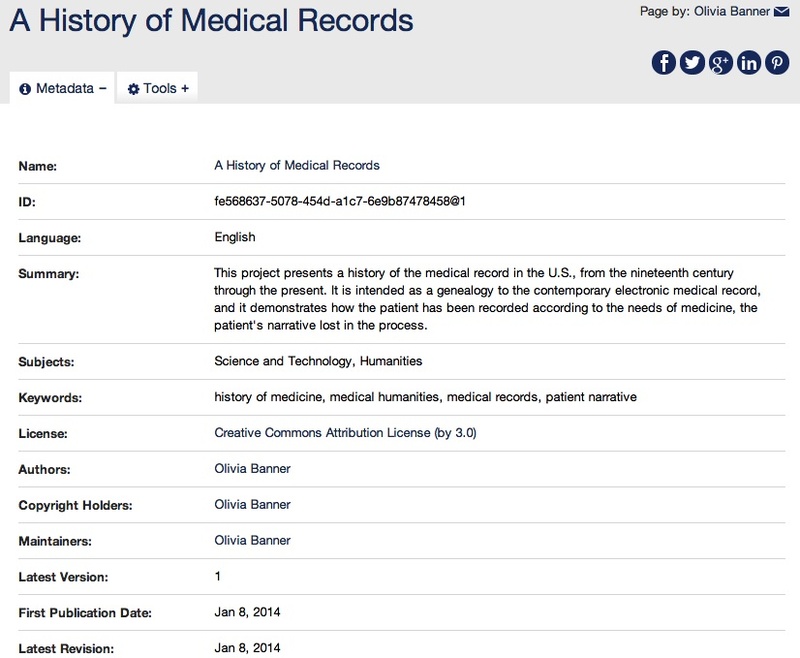 OER Commons displays all licensing data in a clear and concise way, making licensing information accessible to all users, regardless of previous experience with OER content. 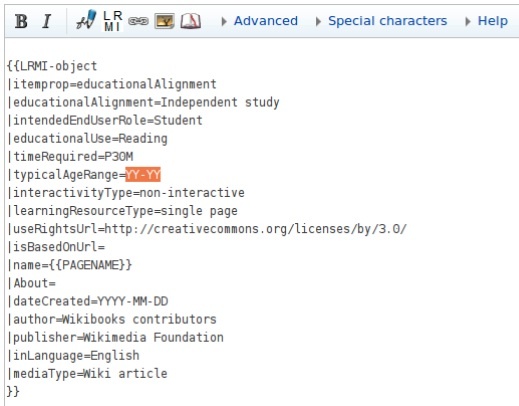 OER Commons uses an internal metadata profile based on modified LOM, which includes additional fields added to support different projects and initiatives e.g. CELT, A11y and LRMI. As an early adopter of the LRMI specifications, ISKME has mapped all 55,000 OER Commons resources to LRMI-compliant metadata. LRMI and A11y markup is included in the HTML of resources so it can be found by search engines and other applications operating on top of the OER Commons platform. 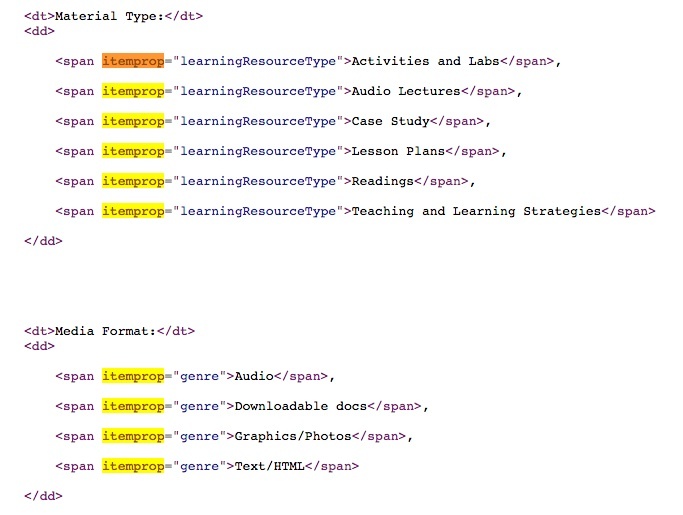 Metadata can be exported as HTML or XML. 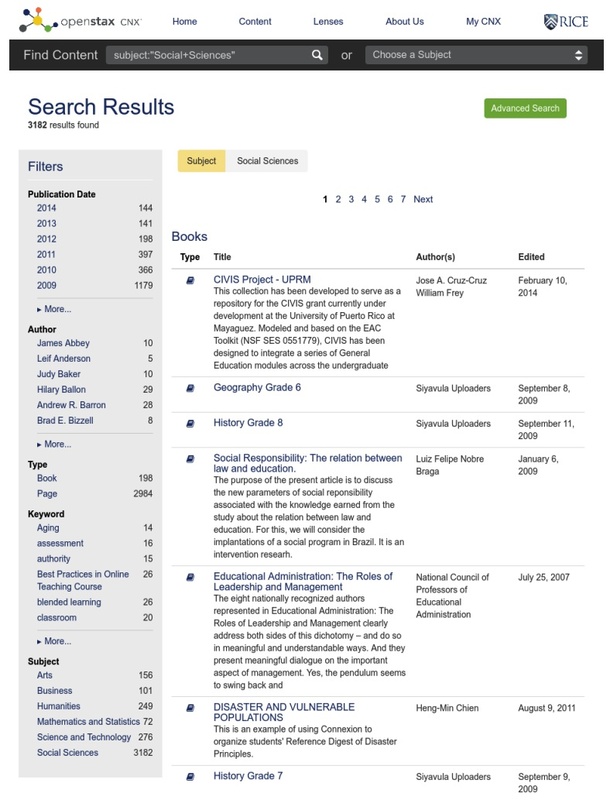 OER Commons metadata does not use the exact terminology of LRMI, but a mapping has been created from the internal metadata schema to LRMI. The alignmentObject is used to align to NGSS and Common Core state standards. Some Schema.org properties are also used. 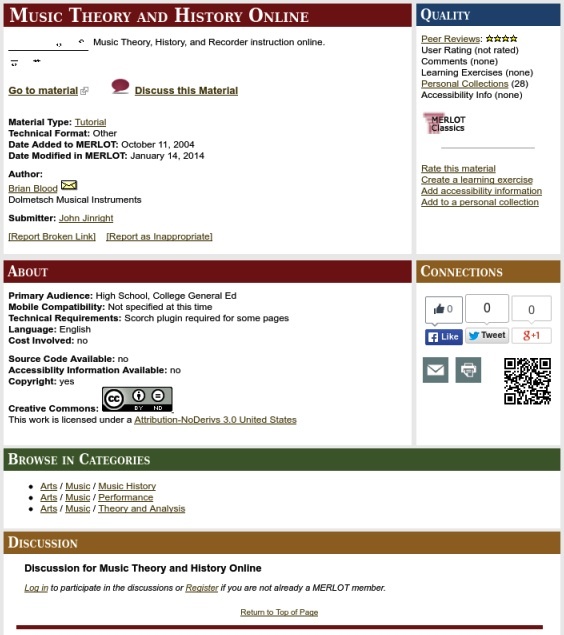 The full OER Commons metadata profile is available for collection providers to download. In addition, ISKME provides a metadata sample template for providers to build and export their metadata for inclusion in OER Commons. Content can be submitted to OER Commons by collection providers and cataloguers who work directly with the OER Commons digital librarian. Collection providers send a CSV file to a metadata technician who reviews the data, normalises it, and uploads it in bulk. Individual users can upload content and metadata via a web form. All resources and metadata are reviewed before submission. The content authoring tool also allows users to create metadata. Some metadata is computed e.g. licensing, as many people are not familiar with different variations of open licenses. The system walks them through the licensing process step by step and computes the appropriate license based on their response. 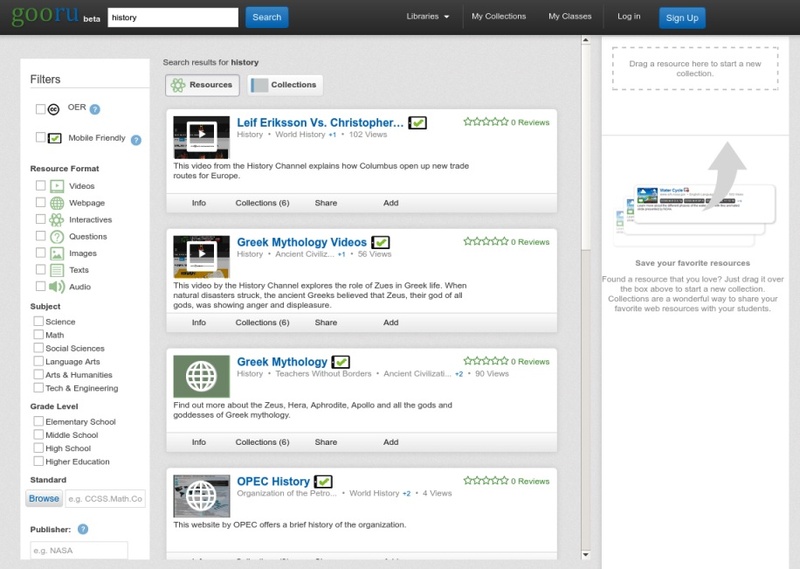 Users can interact with resources once they have been catalogued and have had basic metadata added. 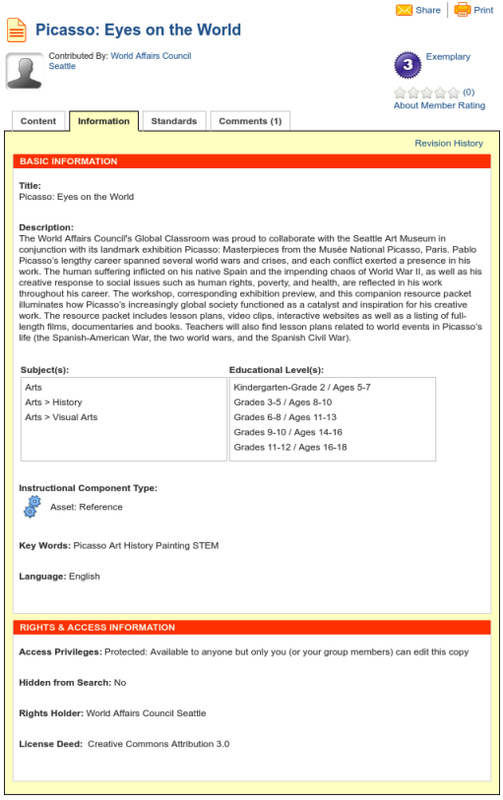 Free text can be added by users which then becomes keywords and resources can be aligned with a range of standards including Common Core, Next Generation Science Standards (NGSS) and other specialized standards. Metadata is kept consistent internally by digital librarians to ensure all works well within the application to support search and discovery. OER Commons is committed to maintaining a rich metadata ecosystem with robust checks and balances to ensure high quality metadata. Metadata that is shared with the Learning Registry is largely in the form of Dublin Core, though some LRMI and Schema.org properties are also used. All resources that have been evaluated using the Achieve OER Rubrics are shared with the Learning Registry. These rubrics help users determine the quality of OERs and the degree to which they align with Common Core State Standards. When uploading to the Learning Registry, LRMI and Schema.org markup is taken from the internal metadata schema and mapped across to Dublin Core. Getting resources back from the Learning Registry has proven to be problematic due to the difficulty of filtering resources. ISKME brings its OER Commons infrastructure and tools to address organizations’ curriculum needs and facilitate team workflows in customized areas of the site. Network Hubs are a key component of ISKME’s comprehensive solutions for hosting and indexing content and facilitating collaboration and collection development for a specific audience. In terms of future developments, OER Commons continues to build tools to additional alignment standards, e.g. National Curriculum Standards for Social Studies, as well as modified state-specific Common Core standards. Microsites are comprehensive solutions for hosting and indexing content for a specific audience, and can be located at subdomains of oercommons.org, or be distinguished by a customizable URL at the domain level. Microsites contain all features available on the main site, but house their own collections as well as special curated collections of the full OER Commons database of resources. Microsites on OER Commons can be structured as one or more “network hubs”, in which a single microsite is the organizing umbrella for a number of sub-collections or networks. Within a microsite, resources are presented in the context of customized taxonomies and our digital librarians work hand in hand with partners and content providers to identify, categorize, and describe relevant content. Additionally, ISKME serves as a thought leader around content and metadata interoperability, is a launch partner for the Learning Registry, serves on the LMRI Advisory Board, and leads a project for the US Department of Education’s National Institute on Disability and Rehabilitation Research (NIDRR) on the creation of cloud-based learner profiles for accessibility. ISKME is part of the GLOBE consortia of repositories from around the world that seeks to build common ways to share and federate educational resources and metadata. OpenStax CNX is a repository of open education content which enables users to create, modify, share and reuse resources. The majority of OpenStax CNX resources are college level text books, however the platform has hosted a wide range of resources including K-12 curricula from South Africa and picture books from India. Content is stored as both modules, small “knowledge chunks”, and collections, books or courses composed of multiple modules. Content can be downloaded in PDF, EPUB and HTML formats. Most content is created and stored as HTML5, though users can also share PDF and Word documents too. The latest release of CNX does not feature video streaming, however video content can be embedded from YouTube instead. All content is licensed CC BY. OpenStax CNX has recently undertaken a major rewrite to convert the system to HTML5. Most CNX code is built in house and all is open source and available on Github: Connexions. Previously CNX used a metadata schema, Connexions Markup Language (MDML), and stored metadata as XML. CNX no longer uses this schema since moving to HTML5. LRMI has not yet been implemented in the new HTML5 platform, however a mapping exists between MDML elements and LRMI properties, which represents CNX core metadata fields. In the future, CNX plan to use selected LRMI properties. The following metadata is recorded for each resource: name, ID, language, summary, subjects, keywords, license, authors, copyright holders, maintainers, latest version, publication date, latest revision. Metadata is generated by resource creators and users. There is no metadata cleaning process, metadata is accepted as it is entered. Metadata can only be edited as part of the content, which must be republished if the metadata is to be updated. CNX archives a record of every version of metadata published. The new CNX system encourages resource creators to use existing keywords to ensure consistency. In order to make is as simple as possible to embed LRMI properties in wiki pages, the project developed a series of MediaWiki templates to enable uses to write LRMI using wikitext markup. These templates were also integrated into MediaWiki’s GUI, WikiEditor, so that users do not have to remember the full syntax of the template (LRMI Untrikiwiki Exit Report, p.4). The MediaWiki extension does not include the ability to link out to external vocabularies. Although developing HTML Tags was not difficult, gaining the necessary approval to launch a new MediaWiki extension proved to be very difficult. Schema.org and LRMI were not widely used at the time so people were unwilling to gamble on a new web technology and had a tendency to see the extension as an unnecessary complication for little benefit. The project approached a number of Wikimedia Foundation initiatives including English Wikibooks and the English Wikiversity, before the extension was adopted by the German Wikiversity. Other initiatives that the project liaised with in order to raise awareness of LRMI include English Wikisource and Wikieducator. 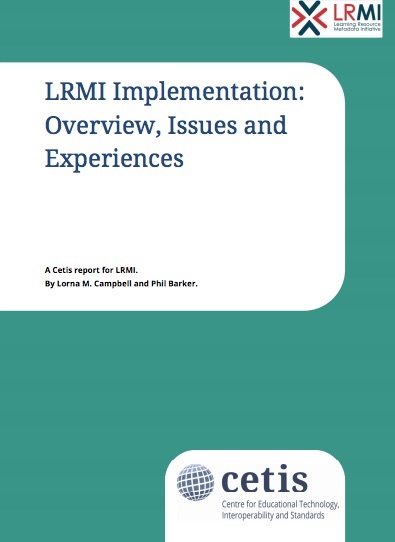 The LRMI Untrikiwiki Exit Report presents a full appraisal of the project’s engagement with these communities and evaluates their successes, challenges and lessons learned. The project outputs were also picked up by Brian W. Carver, University of California, who installed HTMl Tags and implemented LRMI on his Cyberlaw wiki. LRMI Untrikiwiki Exit Report, p. 13. 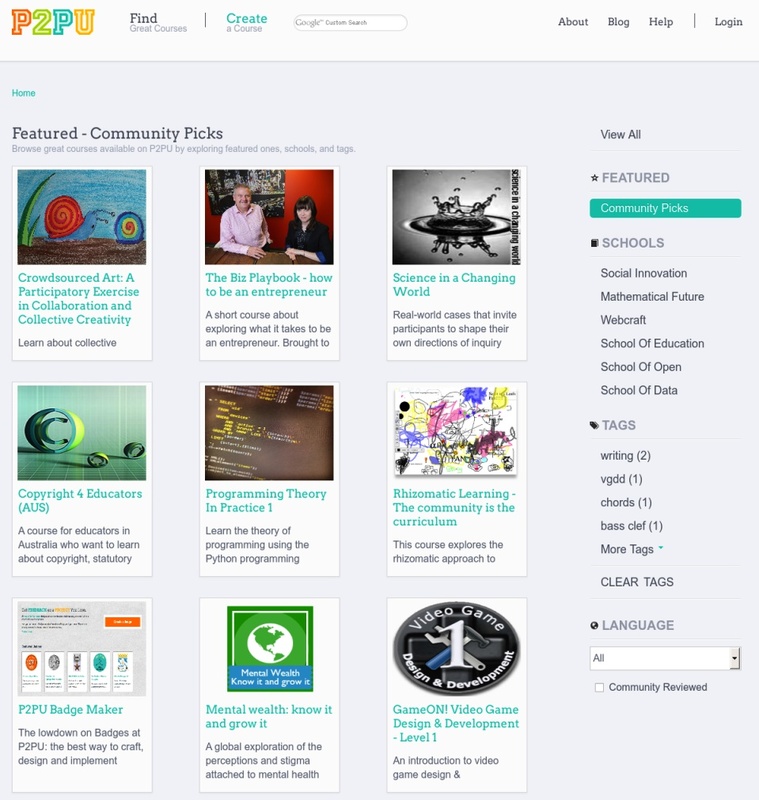 P2PU’s main focus is on community; by providing content creation tools, users are enabled to create open online courses. Tools include the Mechanical MOOC, which enables users to create large open online courses on a “shoestring budget”; course creation tools, which bring together groups of peer learners; and badging tools which enable learners to create and award badges. P2PU courses are primarily aimed at continuing education and all are openly licensed under the CC BY SA licence. All the tools developed by P2PU are open source and hosted on GitHub. The tool under discussion is Lernanta, which started as a fork of Mozilla drumbeat’s Batucada project. P2PU has implemented all LRMI properties, but most are optional. educationalAlignment is an optional property, but it is infrequently used as there are few appropriate vocabularies to align to. The only properties P2PU provides vocabularies for are educationalRole and interactivityType. Going forward, P2PU plan to encourage people to self publish their own courses in their own places, and are working on a Jekyll course template for running open online courses: jekyll-course-template. The intention is that these self published courses should still carry LRMI metadata. LRMI could also potentially be used to index these courses. P2PU are also interested in implementing LRMI for badges, but have not taken this forward yet.